I want to talk about what technology is doing to school. And challenge a couple of assumptions about the future of education. should we use algorithms to establish rapport with students? But to do that, we first need to talk about a phenomenon I call Kids With Broadband. I grew up in Sweden thirty years ago. A video-gaming, book-reading, documentary-watching, four-year old. 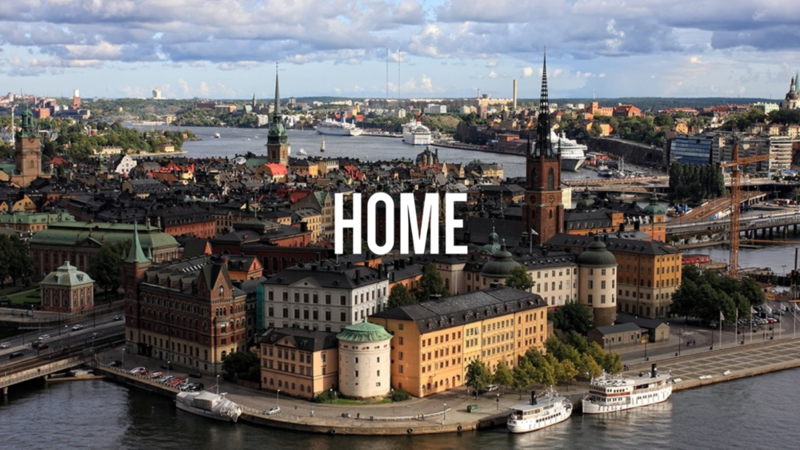 Sweden was among the first countries in the world to roll out nationwide broadband at home in the nineties. Sweden did not invent the internet, but they were among the first to get why bandwidth was valuable. So imagine me: a twelve-year old in 1994 with a 486 DX and dial-up internet access beeping onto the primordial web. but I'm someone who's learned from the world. I've been to public schools and private schools and international schools. I did middle school in swedish, high school in english and university in portuguese. But to understand how I ended up on this stage, first I need to explain who my generation is. Kids who live and breathe technology. Kids, who like me, taught themselves everything on their Ataris and Commodores and Acorns. Taught themselves to speak English playing Monkey Island and King's Quest. And trained their reflexes playing Castle Wolfenstein and Doom. We are the kids who go on to build industry-toppling and disintermediating technologies. Kids With Broadband become billionaires overnight. We’re different from previous generations, and we’re just getting started. I don’t think it’s a coincidence that Sweden, Korea and Silicon Valley have such a disproportionate concentration of lucky billionaires. A couple of countries have done this technological literacy right, but most systems haven’t adapted. Most countries still don’t know how to turn technology into a core competency instead of a parametric baseline. I’m trying to make people think about technology’s big picture. and how they interact with the world. It's time to wake up to the modernity of the twenty-teens. That’s why I study technology. To give us and you a head start. First, let’s kill the misconception that technology is somehow limited to physical artefacts like mobile phones or self-driving cars. It’s not JUST the things that crash, or lose their signal. Advances in medicine and agriculture have saved more lives than have been lost in all the wars in history. Advances in transportation, communication, and entertainment have transformed the world. And I think few places show that desire more strongly than right here in Korea. Korea is a unique place. Korea epitomises the very definition of high-end education technology. Here, you're at the apex of technological foresight, faced with the challenge of leading the rest of the world. Here is the nexus of hardware manufacturers and software consumers. Here is the confluence of policy and industry, marching hand in hand, whether you like it or not, towards a staggering future. But I think we’re starting to notice that the speed of that change, ticking faster and faster. And the questions we keep asking ourselves, getting larger and larger. Literally building the future from sci-fi movies. It empowers people with unorthodox talents and learning differences to grow and contribute. And it will keep speeding up regardless of how uncomfortable that makes us. Before we move on, a quick disclaimer. As you well know, this school is not like other schools. Chungdahm has proved that putting tablets in the hands of prepubescent kids is not just a gimmick. to the extent that it looks like science fiction. you know the one where slide projectors are considered high tech. but rather for you, the instructors, who are tasked with the responsibility of educating an unpredictable array of students of different levels of proficiency, but who are all growing up in a rapidly iterating future. So let's get back to "normal" schools. Let’s talk about what’s happening with something simple, like access to information. School generally revolves around the management of information. Learning is generally understood as the effective transmission of information. are generally about the effective management of information. Yet, At almost every level of the academic hierarchy, we find technologically outdated information management systems. The very notion of testing students is about evaluating the efficiency of their content retention and retrieval proficiency. As if we were testing the speed of a flash drive. When I talk about “school technology”, I don’t necessarily mean MOOCs or flipped classrooms. “School technology” isn’t about about investing in Android versus iOS. What are we even testing? Why bother testing if all information is available, all the time? We can all see this change happening. Again, I know Korea is a little bit different in this regard, but hear me out. But these are not the right questions. These are the questions EVERY generation has asked itself in the past, and we’ve ended up just fine as a species. To me, the questions we should be asking ourselves are more profound, like how is school, as an institution, limited by both technological and cultural factores. Only then will you have a fighting chance of surviving as an institution. Because, otherwise, forget about it. Another reason school exists is to concentrate the efforts of people who are geniuses in their fields with prospective learners. Schools are great at concentrating professors and teachers under one roof — especially the more expensive ones. But then you have Youtube. Not the cat video Youtube. Not the russian dashcam Youtube. The endless stream of experts sharing the the best of their thinking absolutely free with anyone who wants to learn. Thousands of experts who live on the network, who record daily weekly or monthly lessons about advanced makeup artistry, or how to sterilise water with pressure cookers. You know, the sort of learning that enables self-reliance and promotes design thinking. Teaching people to hack and share their ideas. Joi Ito, director of MIT Media Lab talks about a world with seven billion teachers. The mental model of carefully curated top-down knowledge is being replaced by these instantly accessible desirepaths of intellectual curiosity. Today, we’re in this strange position where you can learn anything about everything online. Anyone with a video camera is a teacher. Anyone with broadband is a student. So what happens to school ten years down the road? I think first of all, you need to take back learning. I think teachers should stand their ground. The first is to listen more. To understand the future you need to understand the minds of kids. Not by intervening in what they’re doing, but in learning from them. understand how they embrace technological shifts. Harness their emergent intelligence to increase your own skills. Because it’s in how kids use technology that we see glimpses of a sometimes uncomfortable future. Of course Education is complicated. The way the mind works is incredible and mysterious and not easily reduced to algorithms. If you can’t imagine how things are gonna change, doesn’t mean things won’t change, but it means things will change in ways that are unimaginable to you, and that’s not good. Acknowledge that your job in the future will be fundamentally different from what it was in the past. The borders between AI’s and academics will eventually blur, and we’ll all be partially digital. Before long, machines WILL take over the routine work of teaching. They just will. Usually when I say this, I see a mix of enthusiasm and fear. On one hand, teachers are excited that all of these awesome new platforms and tools are making their lives easier. But on the other, they’re smart enough to realise that they’re feeding the beast. They’re effectively training their replacements. If we want to avoid being engulfed by the rising tide of technology, we need to shift our role. You teach kids how to be discerning and how to be critical of technology. Embrace and observe what their generation is doing, and carefully nudge behaviour towards greater mindfulness. Embrace the connected reality in which they already live, as a fundamental truth. You do this by developing meta-technological skills. By that I mean the skills that help you think about technology, as a system. These are obviously big topics, but building a curriculum around how to embrace the inevitable might just work. In the future, it’s going to be increasingly impossible to organise the world, so nuanced critical approaches are going to be essential. Mastery of competencies won’t go anywhere — they just will just evolve and expand more quickly. And my third tip might sound trite, but hear me out: unlock passion. Kids with Broadband do only what they are passionate about. Part of your role is to facilitate that connection. Technology amplifies the possibity-space of creative endeavours. Putting the right tool in front of the right kid can change their life for the better. Imagine the life of Jimi Hendrix without the invention of the electric guitar. Or try imagining the creativity of Beethoven without the piano. I’m not saying you should go out and buy musical instruments for your entire class, but that you should think about tech as an enabler. The tech giants of the last decades — people like Larry Page and Bill Gates — are interesting in their own right, and they're certainly worth a lot of money, but they represent an extremely narrow slice of technological creativity. They’re all information technologists. Google, Microsoft, Facebook. That’s where we get our industry of information management from. But technology is so much more than clever ways of organising data. and the Kickstarter campaign that started colonising the moon. The more people we, as a species, have thinking about improving the world, the better off we become. The future is literally built by those who care. Finding that passion is all about discovering what they care about. You can be their guide. Just listen, reflect, and help. And think about tech in a broader sense. I know all of this is a lot to take in. I’ve talked about things that in some places of the world would sound impossible and possibly insane. And other things that might sound obvious to some. which is about the human imperative of teaching each other. towards making a bold statement about teaching. every one of your students is a potential passionate teacher about something they haven’t figured out yet. I see a primordial soup of latent potential. Today, your tablets ask students for answers. The next generation should ask them for better question. Today, you teachers are encumbered with stimulating thought and teasing out ideas. The next generation should ask students to look sideways instead of looking forward. The future starts with smart text books and smart whiteboards but ends with smart students. With smart students, you need to rewire the student-school-teacher pyramid. You can embed feedback loops, by building pathways for students to ask their own questions after they've answered yours. You can facilitate self-examination, by giving students deep insight into HOW they learn, what their own deficiencies are, and how they can improve. You can enable peer learning, by letting students self-organise, and give them a chance at teaching each other if they're already done getting all the questions right. You know better than most people that life isn't about getting the right answers. but about exploring your own journey in life. The cultural shift required to change the mindset of both student and parent is an uphill battle. You are already teaching the smartest kids in the world -- but remember that technology will always catch up. You can only stay ahead of the technological curve for so long before culture becomes a limiting factor. You, instructors and teachers, hold the key to that cultural shift. Every technological disruption of the past was about disintermediating existing power structures. Napster removed record labels, but not music. Skype removed long distance carriers, but not phone calls. If schools are the standard container of education, what happens when a better container comes around? What happens when you remove everything that is arbitrary away from the learning experience? How can you improve learning by eliminating school? Somebody in a garage is probably asking themselves this very question right now. And I think that so should you.